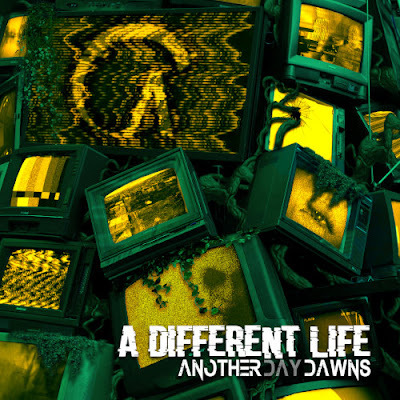 “Rage” is a powerful heavy-hitter to kicks things off on Another Day Dawns’ A Different Life, serving as the perfect introduction to these Pennsylvania hard-rockers. While the following “Psycho” has all the hallmarks of a single, it trends far too close to paint-by-numbers rock tripe, falling into the pit of same-sounding wasteland mostly inhabited by the Puddle of Mudd and Buckcherry ilk. Thankfully A Different Life rebounds on “Empty,” which finds the band tapping the brakes a bit and letting big hooks do their talking for them. “All of Me” slows things down even further with emotional lines and another massive hook, creating one of the album’s more memorable tracks. Another Day Dawns brings A Different Life full circle on the closing “Broken,” bringing back the intensity from the opener “Rage.” Just sit back and drink in that blistering bridge before the song’s outro – sheer galloping riffs and pummeling drumming. This is the perfect way to end this album, a perfect encapsulation of Another Day Dawns and A Different Life.